Anyway, enough about my weather rant. 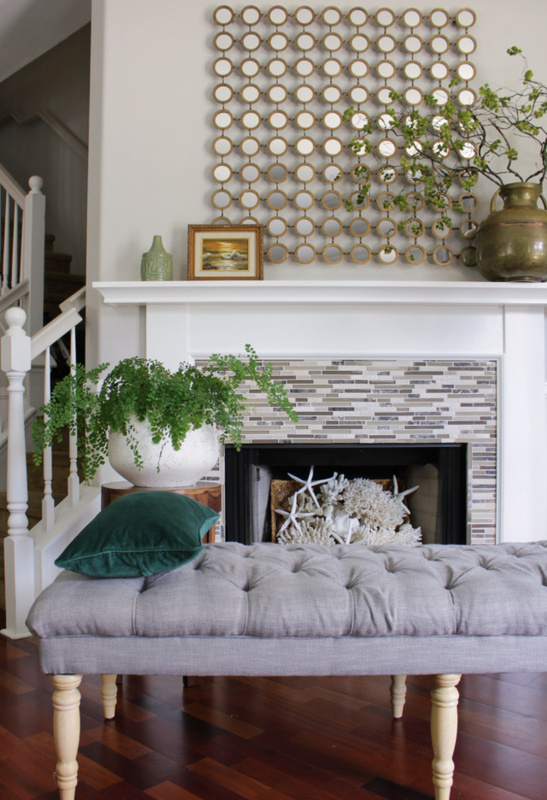 Let's talk fireplaces! 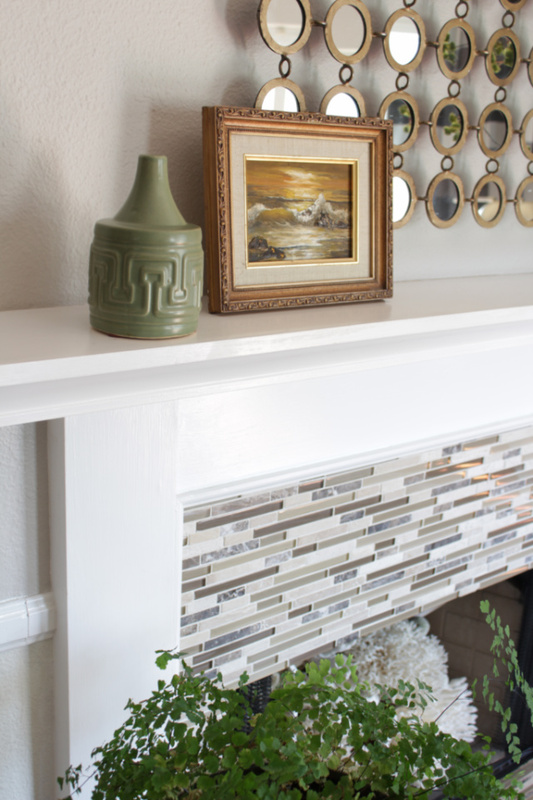 A fireplace is usually the focal point of a room so if you aren't using it, instead of leaving a bare black hole in your wall, dress it up! Give yourself something nice to look at! I was SUPER nervous about breaking one of my beloved coral pieces -especially the "birds nest" coral piece that is on the top. That one is very fragile AND it happens to be my favorite piece. 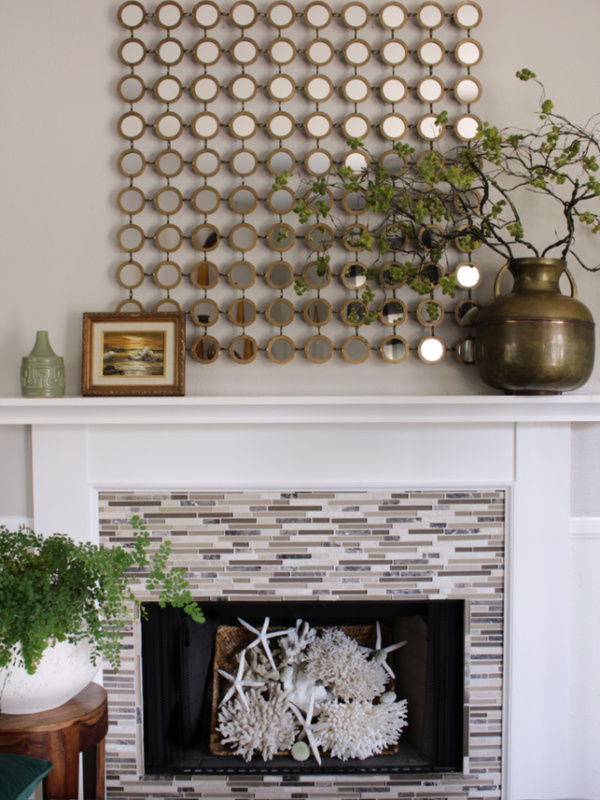 I carefully placed each piece, one on top of the other and fortunately not one piece of coral was broken. After all the larger pieces of coral were stacked, I layered in some sea urchins and starfish to add some depth and interest to my little vingette. I stood back to admire it and you know what...I like it! Actually... I LOVE IT! Here is the inspiration photo that I have pinned on Pinterest. It's BEAUTIFUL. 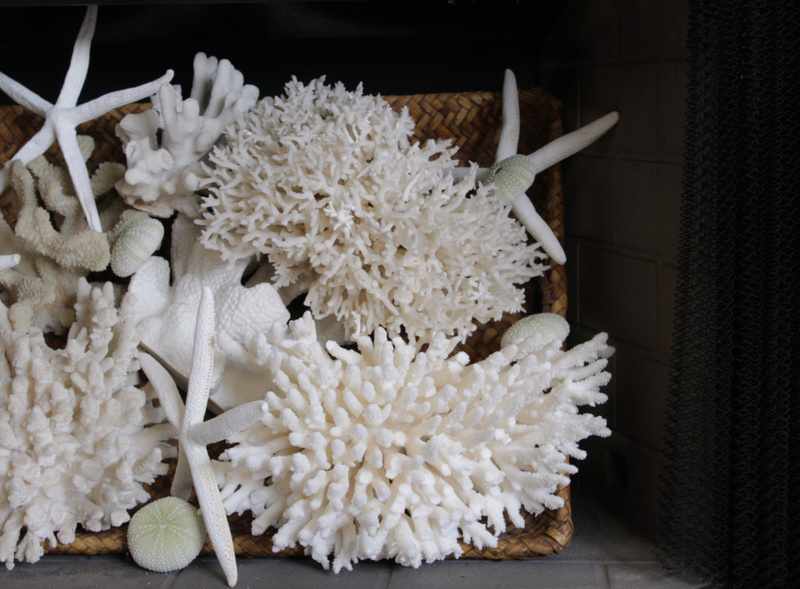 Each piece of coral is laid out perfectly. 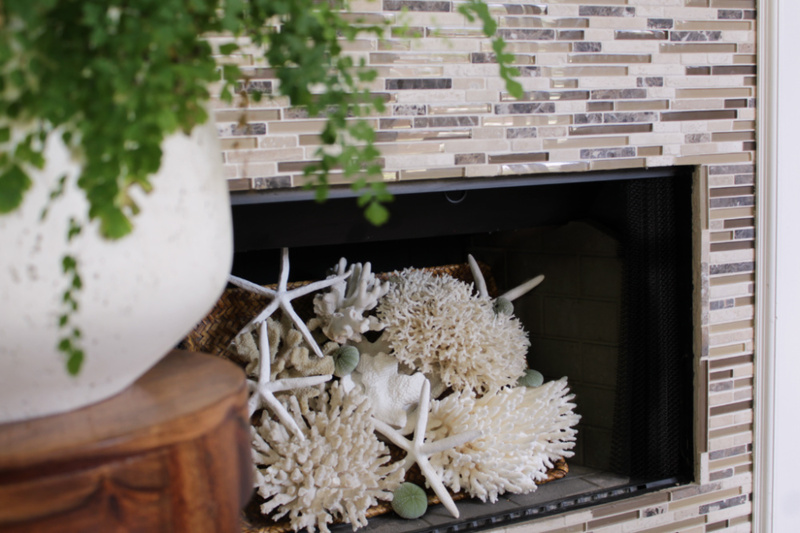 My fireplace is a bit deeper and I didn't have as much coral so I used a tray to prop up my pieces. It was either that or go on a hunt to purchase more coral which would have been fun but I decided to improvise and save some time and money. I can confidently say that I think I nailed it! 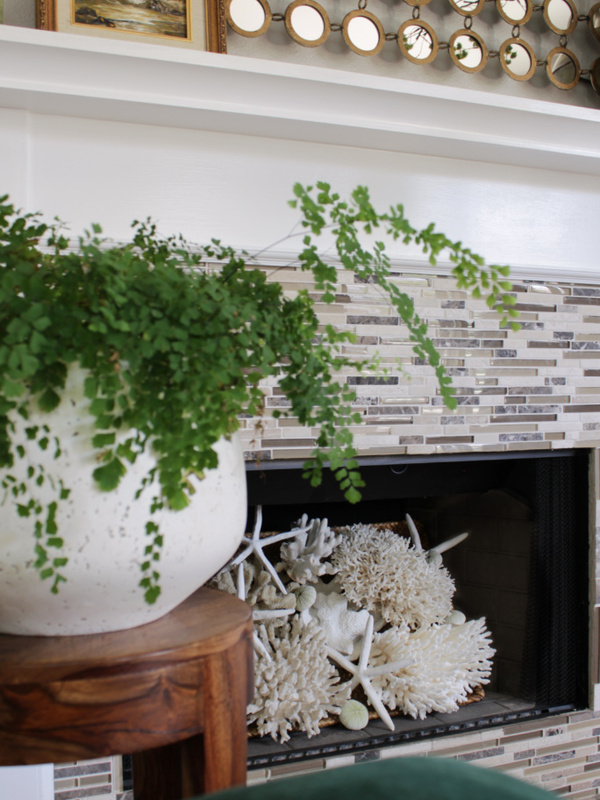 After I put in the coral, I styled the mantel with my favorite brass jug and a little vintage oil painting of the ocean which continues the summer vibe going on here. Interested in any items pictured here? If so, I have included the items down below. 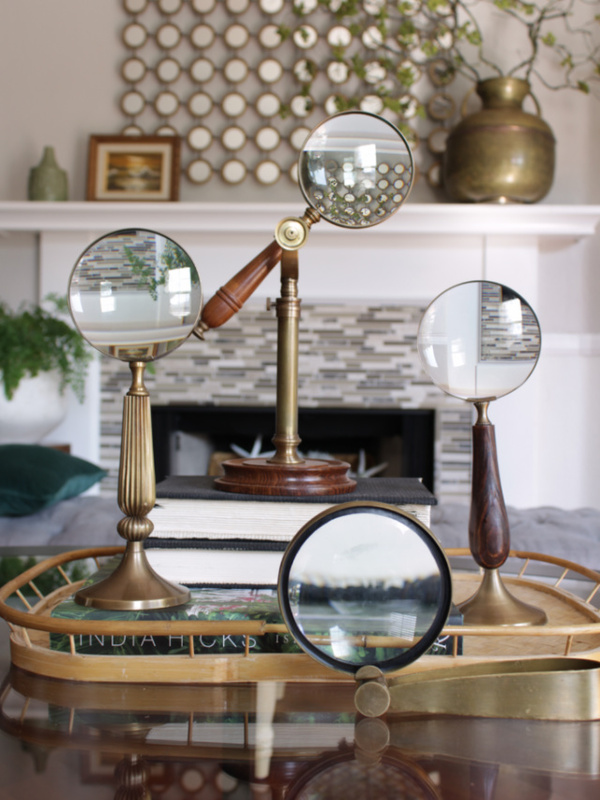 Some of them aren't the exact items but I do my best to find similar ones both in style and in price. Clicking on the item below will take you to the website for more information. 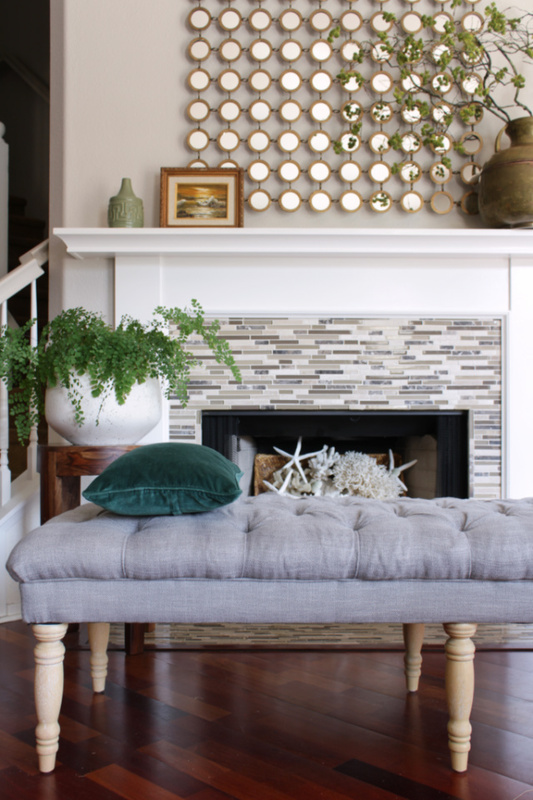 Hey, I actually have a whole board dedicated to fireplace and mantel styling over on Pinterest. Click HERE to check it out and and follow along if you aren't already.